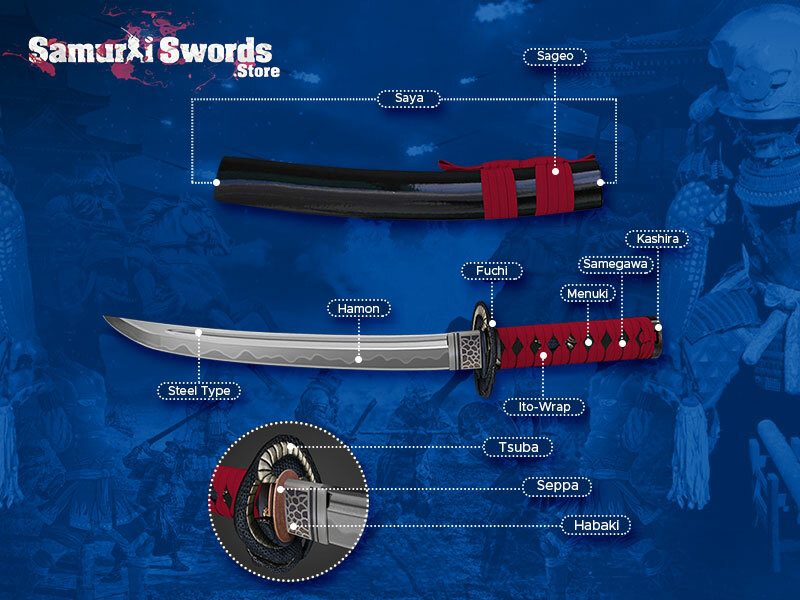 The weapons of a samurai, specifically the katana, has been the most favored piece in history. 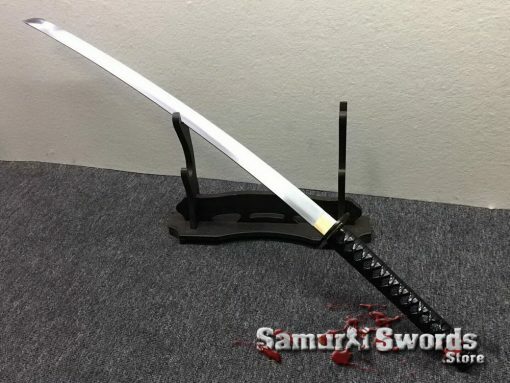 It is also one of the most popular swords today and has been featured in a lot of films, anime, plays, and even books. 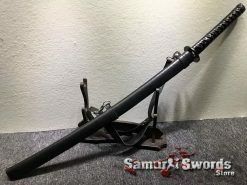 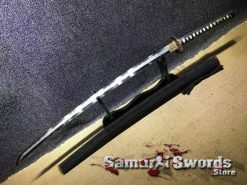 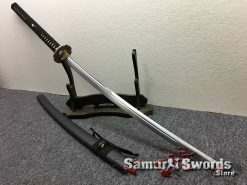 This is the reason why collectors and enthusiasts aim to have their own katana in their collection. 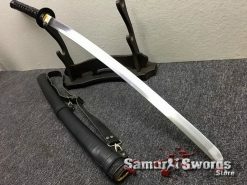 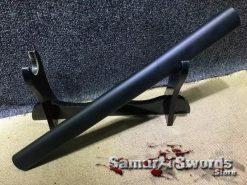 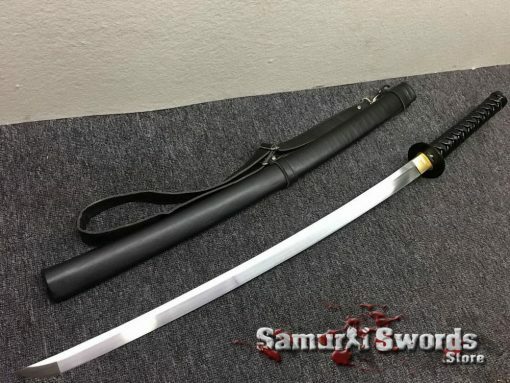 This samurai katana is a fully functional sword. 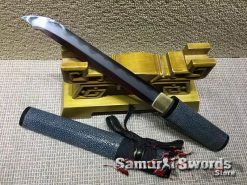 You can use this immediately for practice cutting or training. 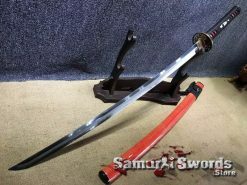 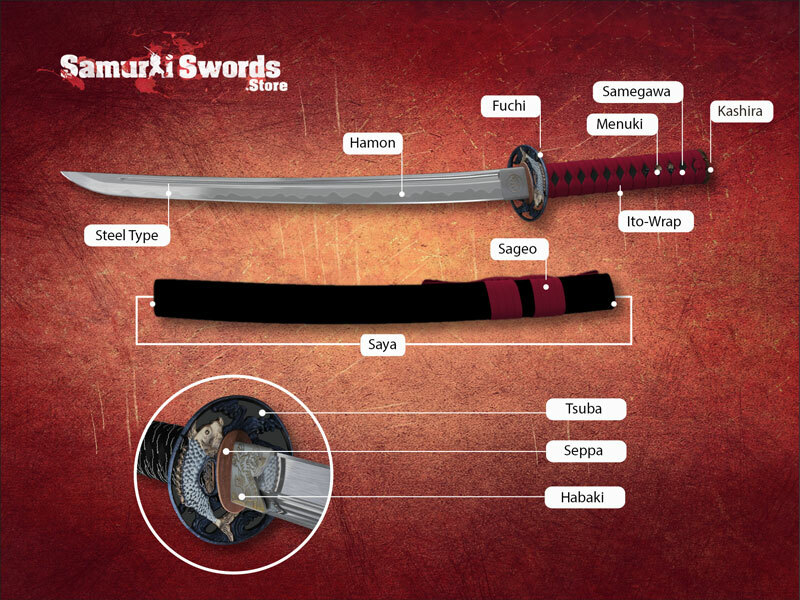 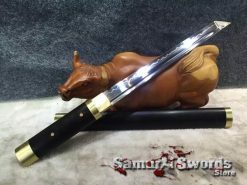 It comes with a durable synthetic leather saya that is fashioned with a shoulder strap for carrying the sword. 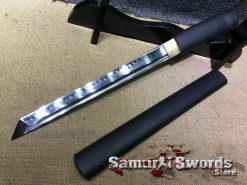 The katanas measurements are adequately balanced, making it easy to use for practice or training. Its tsuka is 27 centimeters long, allowing you to grip the katana with one or two hands. 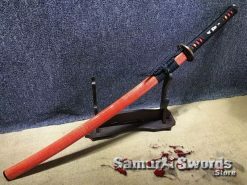 When it comes to its blade, it is 72 centimeters long and 3.2 centimeters wide while its overall weight is 1.65 kilograms. 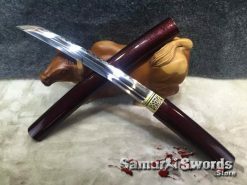 This katanas blade is crafted from 1060 carbon steel. 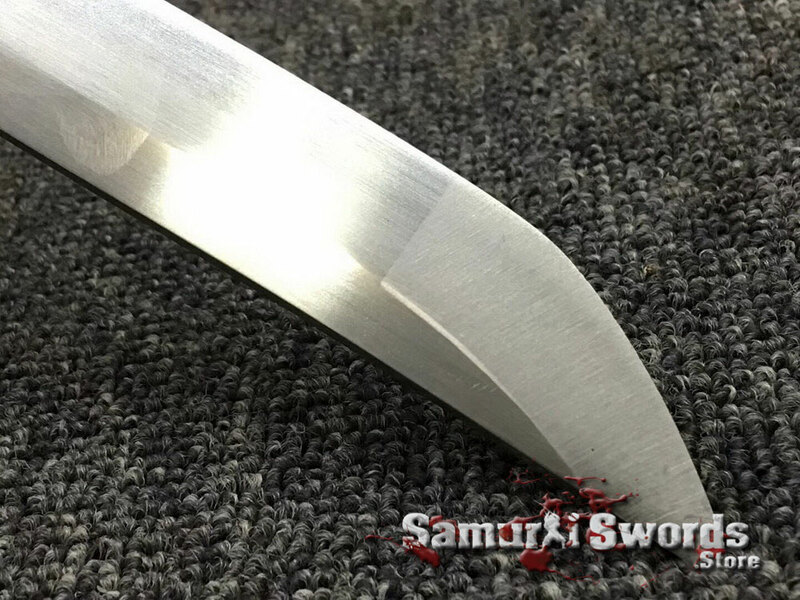 This type of steel contains 0.60% carbon and is suitable for cutting soft to medium objects. 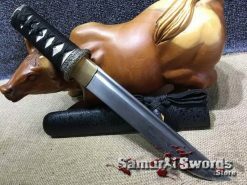 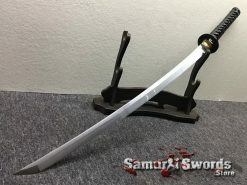 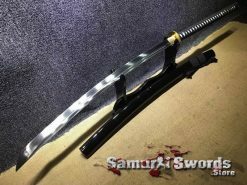 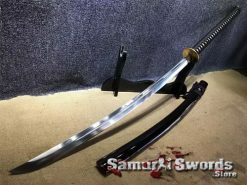 Since the blade of this katana sword is sharpened, you can immediately use this for target cutting and practice. 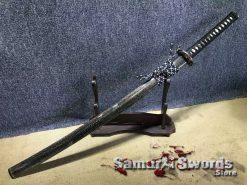 The sword is also a full tang. This means that it has a certain level of rigidity, strength, and hardness to it. 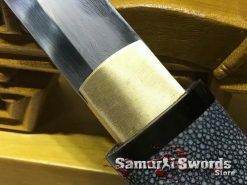 It is because of the tang and the tsuka being a single piece of solid metal. 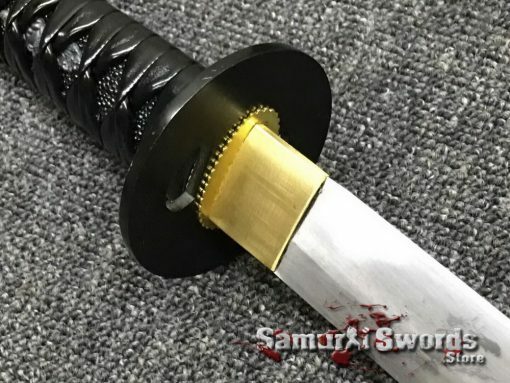 These two parts of the katana are not connected via weld or screw. 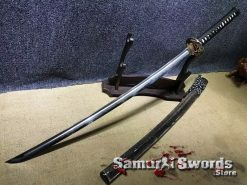 Aside from being a functional katana sword, this piece also has a lot of beauty and appeal to it. 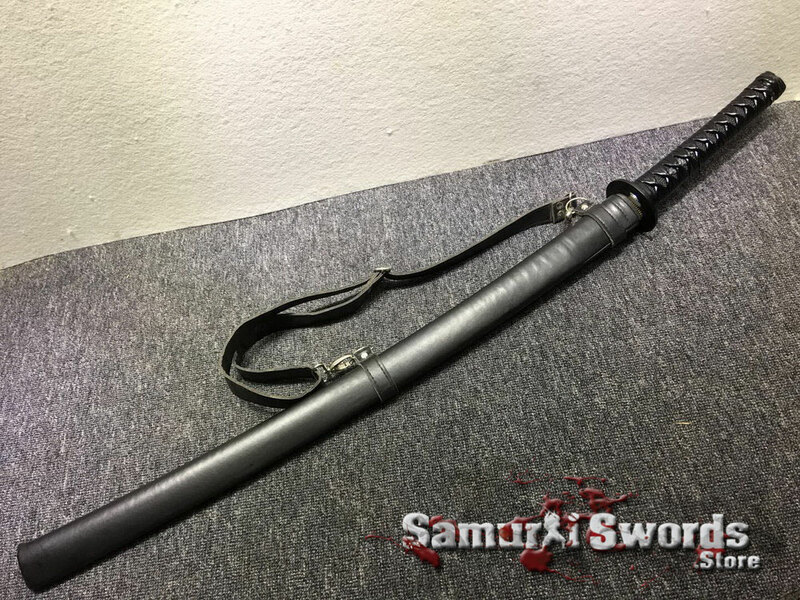 The katana comes with a synthetic leather saya featuring a sturdy shoulder strap. 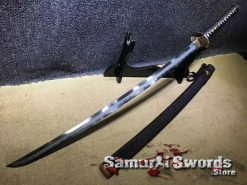 You can bring this katana around like a shoulder bag or use the included silk sword bag instead. Aside from carrying, the bag also protects the sword from unwanted damages. 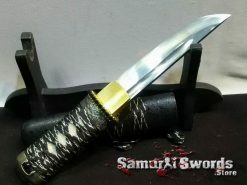 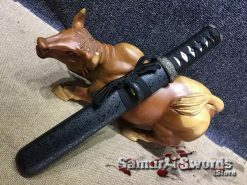 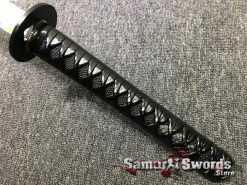 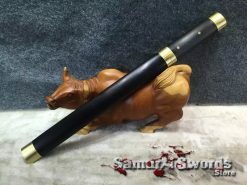 Its tsuka is covered by a black samegawa that protects the swords grip. 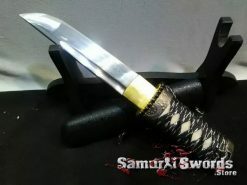 It is also wrapped with a synthetic black leather ito, preventing the tsuka from going through technical failure. 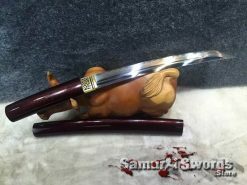 This sword is fitted with a fuchi, kashira, and menuki. 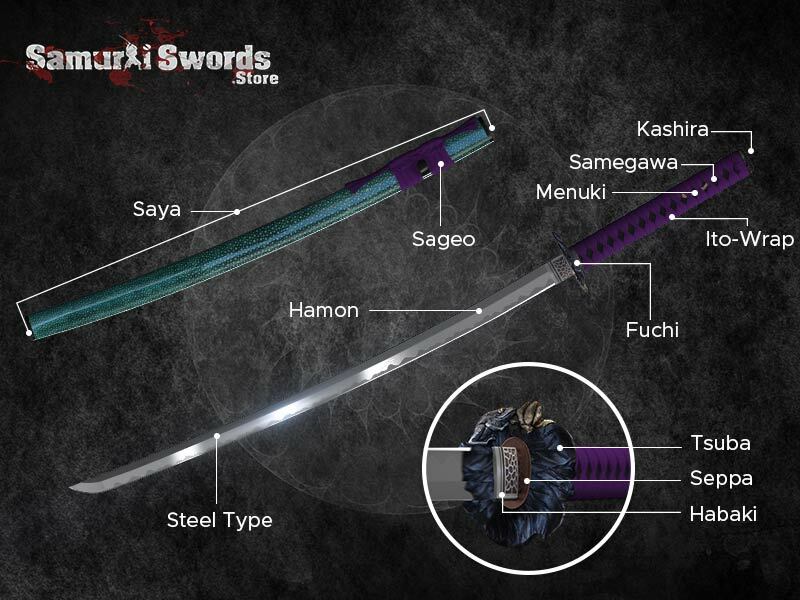 These are all crafted from metal while the tsuba is made of iron. The swords tsuba is present to guard your hand from injuries. The kashira is for balance, preventing the katana from slipping from your hand. 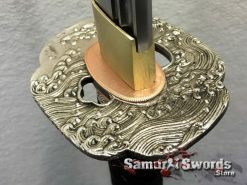 As for the fuchi, it conceals the opening in the tsuka while the menuki are the ornaments under the ito.